In China’s relentless state-stimulated quest to grow their robotics industry, Midea Group, a Chinese appliance manufacturer which already owns 13.5% of KUKA’s shares, has offered to buy up to 49% of the remaining shares at a 59.6% premium. UPDATED 6/13/ & 6/16: Adjusted to reflect news from Reuters that Midea is only seeking a 49% stake in Kuka instead of a full takeover. KUKA AG, an Augsburg, Germany-based manufacturer of robots and automated manufacturing systems, is one of the Big Four in worldwide robotics sales along with Yaskawa Electric, FANUC and ABB. 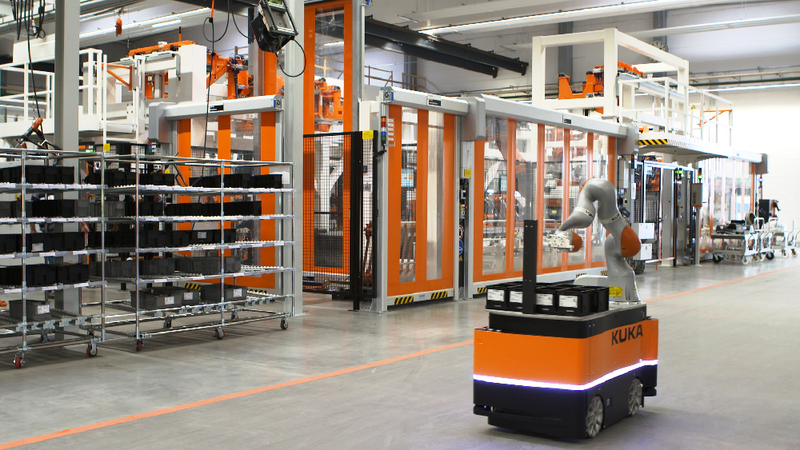 KUKA also owns Swisslog, a provider of robotics and automation solutions for hospitals, warehouses and distribution centers. Kuka has had a growing presence in China including a new factory in Shanghai in 2013. Based on the share prices stated in the bid announcement, the offer calculates Kuka’s market value to be $5.2 billion. Midea Group is a China-based manufacturer of household electronics including air conditioners, refrigerators and washing machines. Midea has been on an acquisition spree with a cash fund purported to be over $10 billion. Earlier this year, Midea acquired an 80% interest in Toshiba’s home appliance business for around $475 million and established an e-commerce unit for an undisclosed amount. China wants to become a major player in robotics and by acquiring KUKA they move from a fast follower to being a leader. It is impossible to buy ABB or FANUC, but KUKA is small enough that it is “easy” to do a take over. I suspect they may have to up the offer a bit, but I see it as a foregone conclusion. In other recent Chinese acquisition of robotics news, China’s Wanfeng Auto Holding Group bought Paslin, a Michigan manufacturer and integrator of welding robots and tooling, for $302 million.